oh, Patrick. Love your writing and your passion. Bravo, friend. 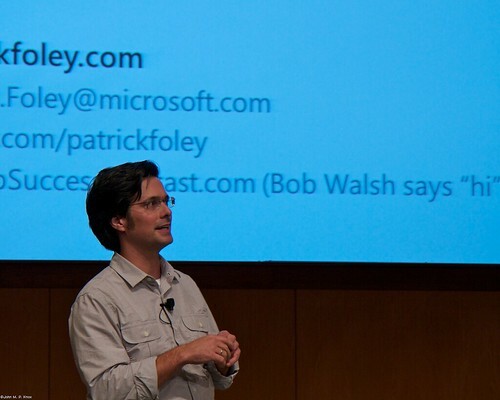 I did a lightning talk back at BOS 2009 and can relate to the nervousness and stress… but it was one of the best experiences ever! Actually I think most companies should institute a rule that no powerpoint presentation should last more than 6 minutes. As for Atlas Shrugged, if you don’t know it yet they are coming out with a movie (http://www.atlasshruggedpart1.com). One of my favorite books too! Keep writing, you’re good at it. Thanks, Daniel! If there is a video of your lightning talk, please post a link. And thanks a lot for the support. Much appreciated – I need the encouragement!